If you want to make enemies, insult Super Metroid. It's arguably the most beloved entry in one of Nintendo's biggest franchises, and is still praised as a masterclass in game design even 20 years after its initial release. There's enough intricacy and detail to every mechanic that you could write a book about it, and that's exactly what Jeremy Parish of one of our Gamer Network partners USgamer has just completed. 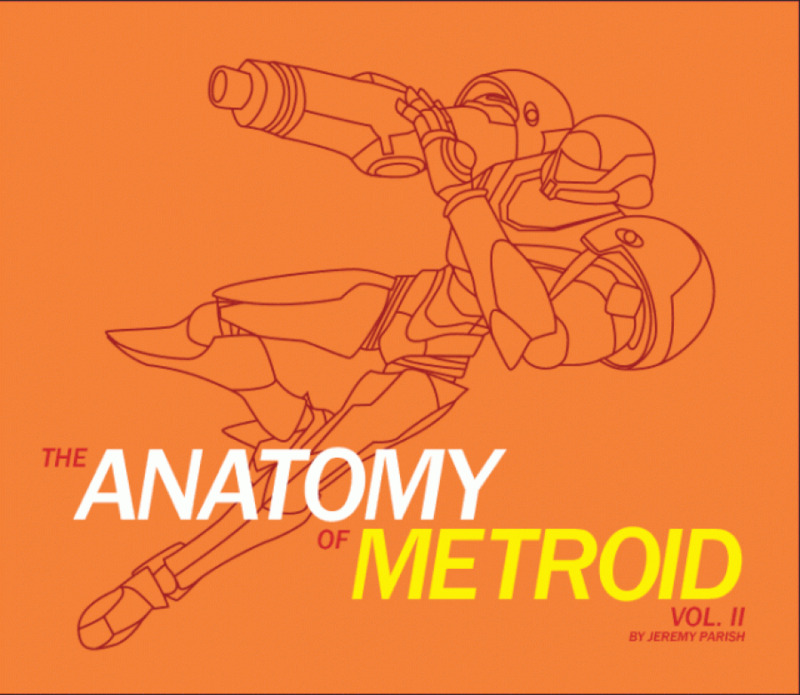 The Anatomy of Metroid Vol. II is a revised and amalgamated collection of content from Jeremy's personal site, which details and analyses what makes a game truly work. It focuses entirely on Samus' adventure on the SNES, investigating the tone, narrative style and open-ended gameplay that made it such a moody, memorable experience. The title is currently available in four different formats to suit your taste and price range, with both print and pdf versions to choose from. Eager bounty hunters can order before the end of April to avail of a 15% off coupon for the paperback, hardcover and pocket paperback editions on Blurb, by entering the code TAKE15%. Check here for further details and links to order. From screwattacks to space pirates, this release is set to give insight on all the inner workings of a Nintendo classic. Are you interested in grabbing a copy for download or even to sit proudly on your shelf? You know the drill by now — share your thoughts with a comment below. Ooooooh golly, these are 'spensive. I guess I'll have to do with the pocket one. Very nice!!! Too expensive for me but the hardback would look great on my coffee table. I love Metroid. It is so costly because it is print-on-demand. Essentially you are paying the printer for your copy. Jeremy doesn't have the money to print out a ton of copies and then hope he will sell a bunch of a niche product. On the other hand, the book's name made me think of a book about the anatomy of the creatures known as Metroids. That would be really interesting if someone actually wrote an anatomy book on them, although there isn't much source material to go off of. I wonder if it has pictures that i'd rather have in color. If not i'd be interested in the B&W pocket paperback. If it ships to Germany and said shipping isn't too expensive. "If you want to make enemies, insult Super Metroid"
Jeff Gerstmann (of Giant Bomb) is our enemy then, lol. Eh? What'd he say about Super Metroid? I know he's not all that keen on Yoshi's Island, but I don't remember him saying anything about Super Metroid (might just be forgetting). I forgive him in advance. Then I took an arrow to the knee and a boot to the head... And one for Jamie and the wimp. @9th_Sage Woops, sorry for late reply. Been a few instances where he's insulted the game, he beat it rather quickly and felt somewhat cheated by it, which is the basis of his arguement. Jeff can be a jerk, though; he has insulted several other games and their fanbase in the past, in a non jovial, serious manner. Behind the comedian is someone very serious, who believes his opinions are objective fact.